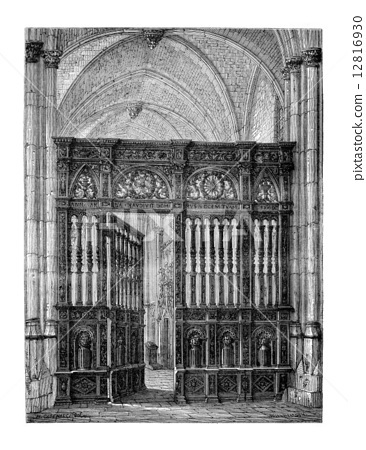 Closing of the choir (oak) of the Cathedral of Lisieux. - Drawing Catenacci, vintage engraved illustration. Magasin Pittoresque 1875.